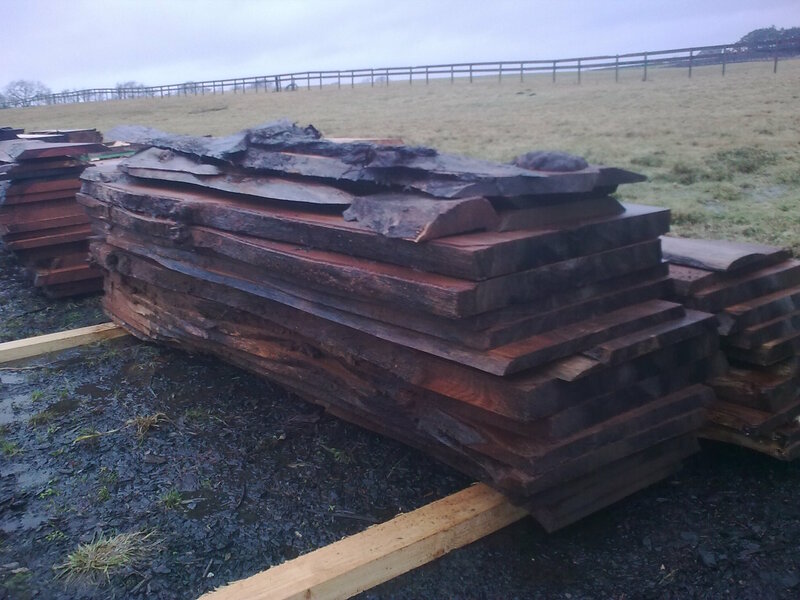 Once planked at the sawmill the timber is taken back to the workshop where it is dried. Below is a picture of a unique tree sourced from the grounds of Burns Cottage in Alloway. 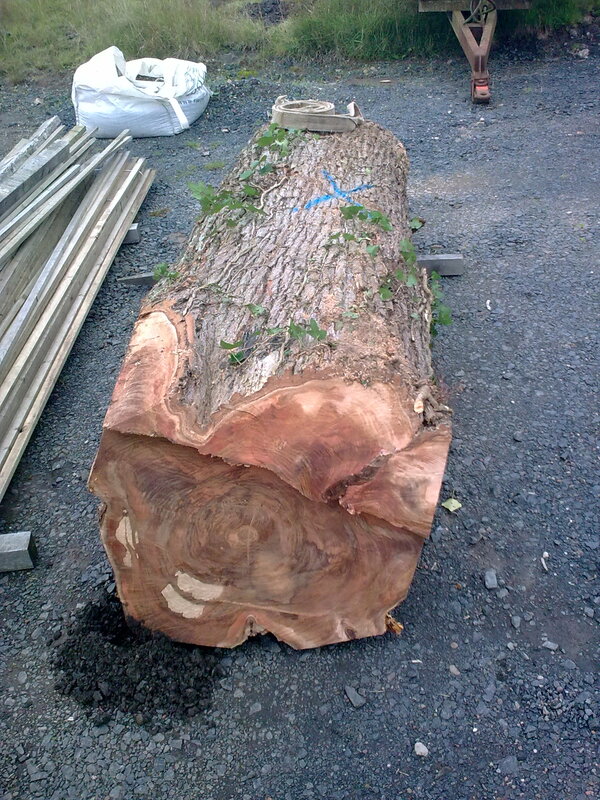 Elm from the grounds of Burns cottage - prior to milling. 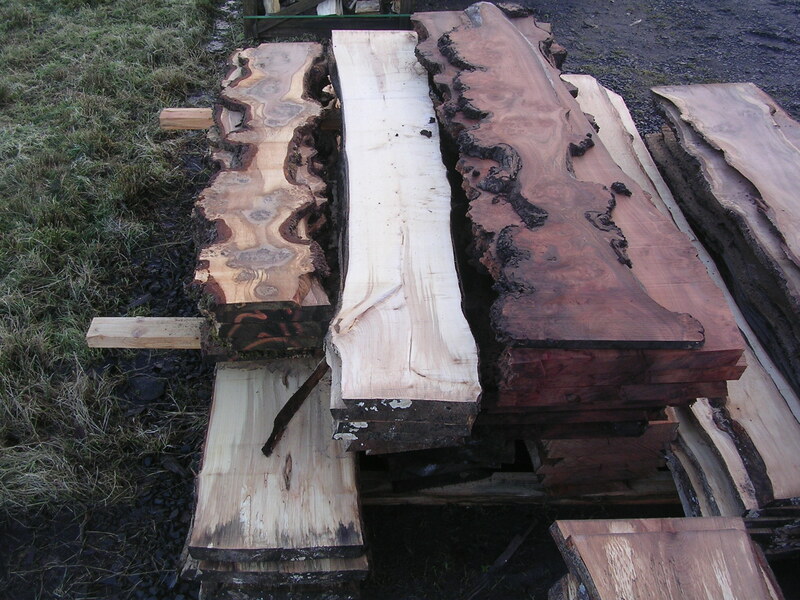 Below are some interesting planks of elm, burr oak, and maple. Milled in January 2011. From left, Burr oak, maple and elm.